! 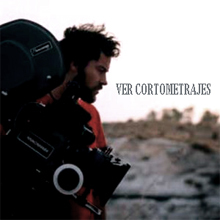 "SAVE" ALCANZA SU PREMIO N° 81 RECIBIENDO EL "DIAMOND AWARD" EN INGLATERRA! -! 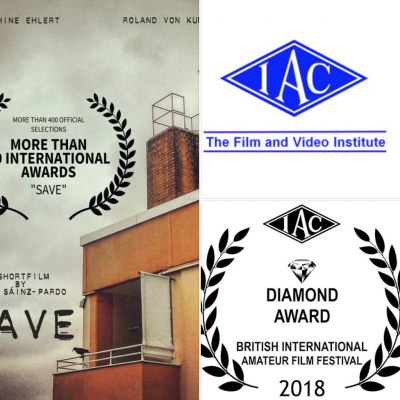 "SAVE" ha recibido el "DIAMOND AWARD" en el "THE IAC BRITISH INTERNATIONAL AMATEUR FILM COMPETITION 2018", UK! "SAVE" se proyectará en la gala de entrega de premios del día 15 de Abril donde competirá además por el "Daily Mail Prize for the Best Amateur Film of the Year (£250 + trophy)"
-WINNER "SAVE" - Short Film" by Ivan Sainz-Pardo has won AWARD N°81. "DIAMOND AWARD" at "THE IAC BRITISH INTERNATIONAL AMATEUR FILM COMPETITION 2018", UK! SAVE will be shown as part of The Premiere Awards Show of The British International Amateur Film Festival on Sunday 15th April in North Yorkshire. The winner of the Daily Mail Prize for the Best Amateur Film of the Year (£250 + trophy) has been selected from the IAC Diamond Award Winners. SAVE is therefore eligible, and the winner will be announced at the end of the Sunday Show at 5:30pm. !Congrats Josephine Ehlert, Roland von Kummant, Philipp Fabian Kölmel!